Running a farm or ranch today means something completely different than it did 10 years ago. Fortunately, today’s advanced machines are being engineered with technology and advancements to help you complete a variety of different tasks at faster rates, with lower operating costs. However, as machines are upgraded, knowing how to effectively manage and utilize the equipment becomes an increasingly difficult task. This is why many farm and ranch owners are choosing to outsource their fleet management. By doing so, they are able to collaborate with an outside team of experts to reduce their overall operating costs — by assessing how they currently utilize their machines, and how they can improve efficiency and uptime moving forward. Do you have spare machines or backup machines you keep ‘just-in-case’ there is an unexpected breakdown? Has there been any accidents on your operation that have raised safety concerns? How many hours are you using your machines daily/monthly? Are you concerned with the amount of fuel your machines are burning? Do you keep an inventory of parts? How often do you have unplanned machine downtime or repair bills? Do you know how to utilize all of the technology and/or features available on your machine? If any of these issues are a concern for you, it may be time to talk to your equipment dealer about outsourced fleet management options. Some advanced equipment manufacturers offer comprehensive programs that can be tailored specifically to your operation’s needs. A dairy farmer was noticing significant machine idle times throughout the operation’s fleet. After assessing the issue and implementing a fleet management plan, idle times were reduced by 65 percent. 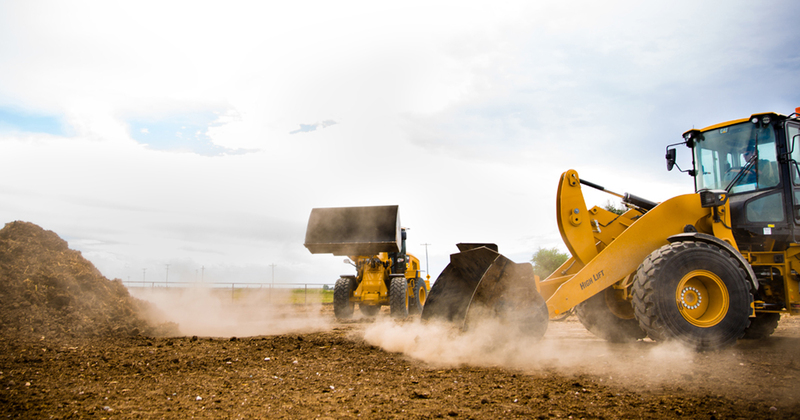 A feedlot operation owner wanted to reduce the amount of operating hours he was putting on his fleet of wheel loaders—while maintaining optimal production. He initially contracted with a program to reduce monthly hours by 25 percent, and later signed a new contract term for a 50 percent reduction. The operation has now experienced a 63 percent decrease in operating hours throughout the life of the contract. Another feedlot operation had a fleet of aging wheel loaders and no monitoring capabilities. After engaging with a fleet management program, they implemented a solution to update their fleet with new machines. By doing so, they were able to decrease idle time across the fleet by 51 percent — ultimately leading to annual fuel savings of approximately $50,000. Additionally, the operation experienced a 40 percent reduction in the amount of time required to complete work on the operation. As you can see, outsourcing fleet management can bring significant value to agricultural operations — it’s all about tailoring a plan to your specific needs. This is why it’s so important to find a program that offers a variety of capabilities, backed by a team you can trust. Bottom line, the ultimate goal is to develop an ongoing, collaborative partnership to make sure your operation continues to succeed. To learn more about outsourced fleet management programs and the value they can bring to your farm or ranch, visit Caterpillar Jobsite Solutions.